Warren Ellis' critically acclaimed relaunch of THE WILD STORM gets its first solo spinoff series! 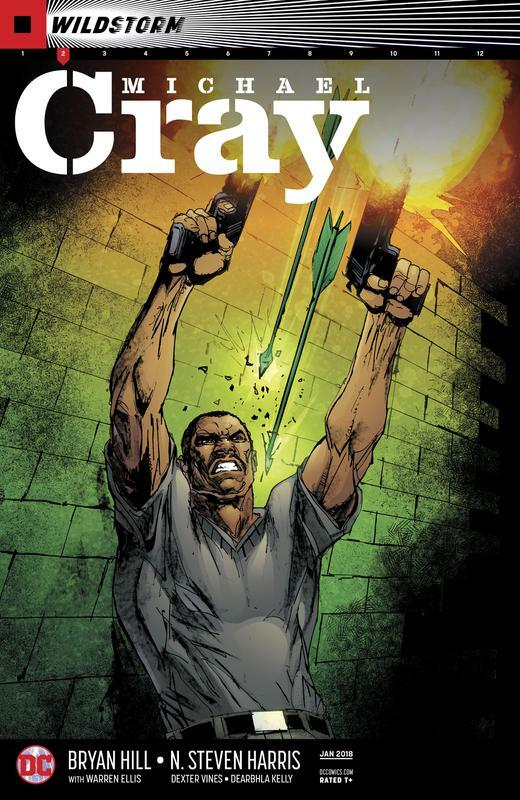 Michael Cray, professional assassin, has been betrayed by International Operations and has an alien life-form in his head that's either killing him, transforming him, or both. The only thing that can bring sense to his life is for him to do what he does best: kill the wrong people for the right reasons. But Michael needs support and resources to hit back against I.O., and he gets them in exchange for working with Trelane, taking out her targets, his way. First up? A sociopathic Silicon Valley billionaire by the name of Oliver Queen!